A lot has happened in my life since I last updated my blog, I switched jobs so I have a slightly new focus now in my workplace, it has shifted more against SharePoint Online and Office 365. Say what you want about the cloud service named Office 365 but Microsoft is determined…to make it work and piece by piece it gains in value. And what is so great about this IRM, RMS or DRM you may wonder? A beloved child has many names (Old saying in Sweden), well…it is fantastic. IRM offers you the possibility to set a policy on documents (and email messages) that allows you to specify what the user may or may not do with the document, you may also specify exactly what user or grop may or may not read, write, print, download and so on. The really great thing with IRM is that even if you put a document on a USB drive and someone gets their hand on that USB drive, they still need to authenticate against the Azure RMS service before getting any access at all to the document, and even then, what you may do is controlled by the IRM policy. 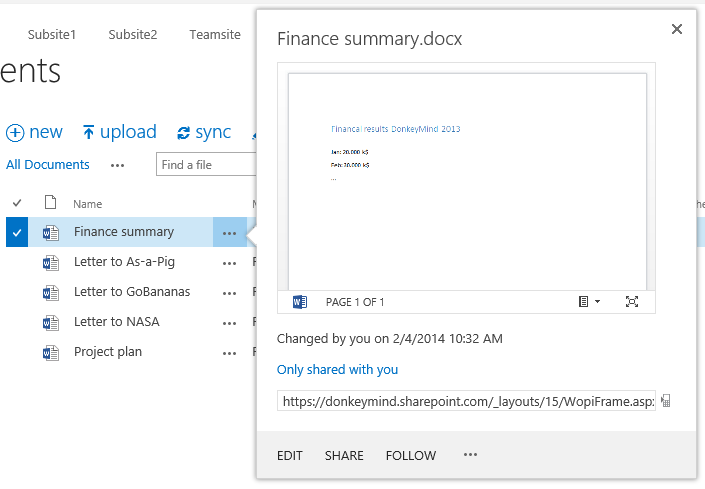 You are in Control of the data even after the document leaves your controlled environment…not bad huh? So, how is all this greatness achieved you ask? Well, I will not go into all the magic behind the scenes in this post, but I will show you how you can do it yourself, in your current Office 365 tenant or if you prefer, in an evaluation tenant to avoid the risk of affecting your users (which is virtually impossible anyway but just as a precaution…and to make your bosses feel safe). The complete guide to enabling IRM protection in a SharePoint document library Jump straigt to the guide, a step by step on how you implement RMS and IRM protection in SharePoint Online. Who gets access to RMS, license plans listed Get the list of what subscription plan includes RMS and what does not. What works and what doesn’t? The cmplete list of supported OS’s and Applications that support Azure RMS and the ones that do no yet support Azure RMS. About the IRM/RMS technology – How does it work, what does it do? The functionality explained. – Activate Azure RMS in the Office 365 administration portal. Step 1. Activate Azure RMS in the Office 365 administration portal. 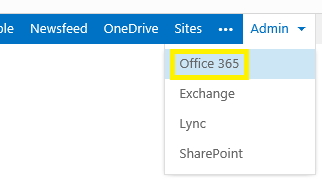 1.1 Log on to your Offcie 365 tenant as a global administrator, go to the Office 365 admin center. You will find the shortcut in the admin dropdown. 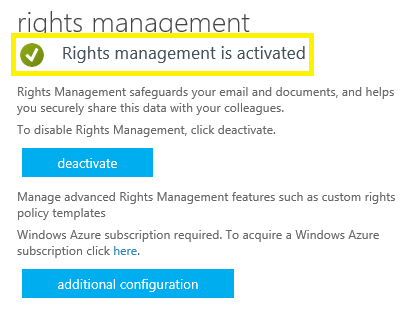 1.7 In Azure RMS you will be met by this text saying that yiou have not activated Rights Management yet. 1.10 Now you should see this, A nice green checkmark telling you that Rights Managemen has been activated. 1.11 Done! 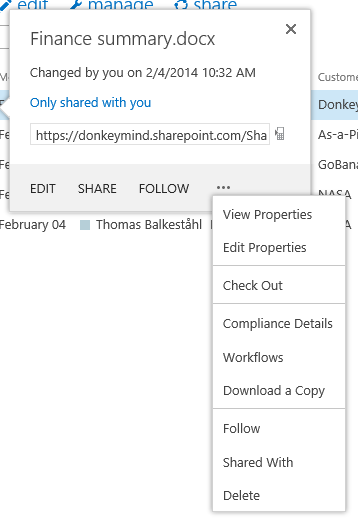 Now you can move on with activating Rights Management in your SharePoint Online admin portal. The steps you have now taken makes the RMS service available in all parts of your Office 365 tenant, like in Exchange, SharePoint (and Lync). 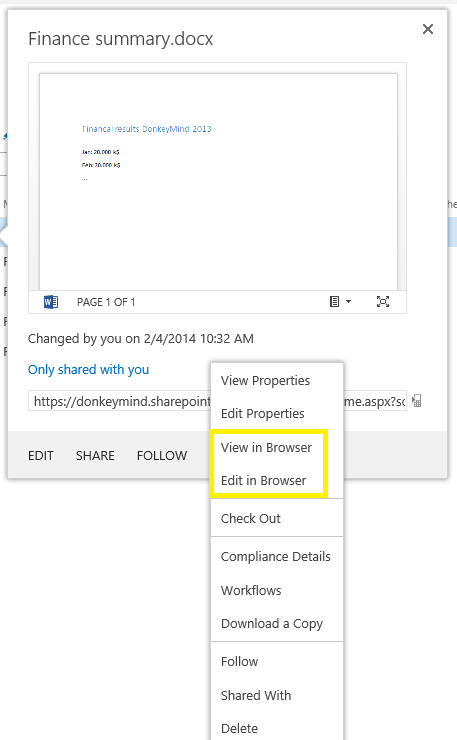 2.1 Go to the SharePoint administration portal. Find the shortcut in the Admin dropdown. 2.2 In the lefthand pane, select Settings. 2.6 In ashort while, you will see the text ‘We successfully refreshed your settings’ below the button. 2.7 Done! This means that IRM functionality has been enabled in your SharePoint Online tenant and the IRM settings will now be available in SharePoint. Note! If you have not previously activated IRM in your Office 365 admin portal, then you will see this massage instead: If that is the case, simply go back to Step 1 in this guide and activate IRM in Office 365 first. 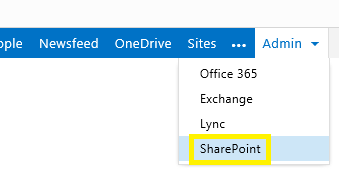 3.1 Go to a site in your SharePoint Online site collection of choice (can be the rootsite or a subsite), go to a document library (default is probably ‘Documents’). Now, click on the ‘Library’ tab. 3.4 This is the Information Rights settings for the current Document Library, what you change here will only affect this document library and the documents in it. Remember though, that what you change here will affect ALL documents in this library, in all folders, of all types. By default, IRM is disabled and has no affect at all. 3.5 What you see here, is only the name and the description and the activate button. In order to see more of the settings, click on SHOW OPTIONS. 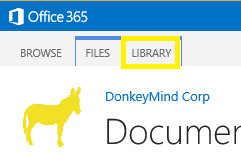 This offers all the settings that are currently available for a document library in SharePoint Online. Start now by giving your policy a name and type in a description, this is what will be shown to the user, so its better to use a good explainatory description. 3.6 Click on ‘SHOW OPTIONS’. Configure what the policy is and what is allowed and what isn’t. For the sake of easily verifying the functionality, only configure that the document cannot be opened in a browser. In the first section, ‘Set additional IRM library settings’ check the box to prevent the documents from opening in the browser. 3.8 …and ‘Set group protection and credentials interval’. 3.9 When you have configurd the policy like you want it, hit Ok.
3.10 Done! All document in your library are now protected uing the IRM policy you configred. THat IRM is used cannot be seen unless you have access to the IRM setting in the Library Settings. What a regular user can see, is the effect of the policy alone. 3.12 When the policy has been activated, you do not get any preview and the view and edit in browser options are gone. 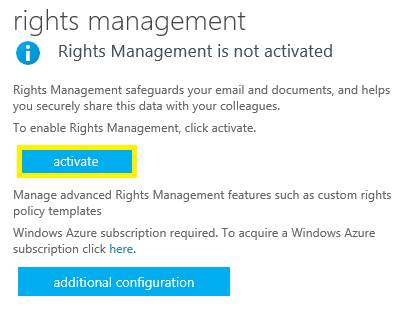 3.13 You are now done, your document library is IRM protected using Azure Rights Management Service. 4.2 Click on Edit, you should be prompted to download the document. Cancel the dialog. 4.3 Click on the three dots, you should see a notice that a preview is prevented by RMS. 4.4 You will also notice that the dropdown many does not offer any choice to open in browser or preview in browser. Note: A good bestpractise is to Always verify that your IRM protection policy is activated and works as expected. Some settings must be tested using a Office client application andsome can be tested onin like in this scnario. Like you can see, far from all license plans include RMS. In addition to the Ofice 35 subscptions that include RMS, there is also a RMS for individuals subscription that will allow a user outside of the organization to open and access IRM protected documents from an organizaton that uses IRM protection using RMS. Note: If you have a subscription plan that does not include RMS, like a Office 65 E1 or E2, then you can get the RMS functionality as an add-on from Micosoft (Azure RMS Standalone). Talk to you account represenative or your LAR/license vendor. This optio cos a lot less than to upgrade to a E3 plan simply for the RMS functionalty. There are some things that work and sometings that don’t work, I have tried to list them all blow, as time goes by, Micrsoft will most likely subtract from the No list and add to the Yes list *. * I asume that all else not listed here does not support Azure RMS. The RMS connector is supported on Windows Server 2012 R2, Windows Server 2012, and Windows Server 2008 R2. About the IRM/RMS technology – How does it work, what does it do? Azure Rights Management lets you encrypt and assign usage restrictions to content when your organization subscribes to Microsoft online services. Rights Management helps protect content that is created and exchanged by using Microsoft Office as well as other applications or services that have been updated to integrate with the Rights Management service. By implementing a cloud-based rights management service, Rights Management provides an alternative for organizations seeking information protection capabilities within Microsoft Office 365. Applications and services such as Microsoft Office 2010 and Microsoft Office Professional Plus 2013, SharePoint Online and Microsoft Exchange Online are enabled to help safeguard sensitive information. Users and administrators can define who can open, modify, print, forward, or take other actions with the information. 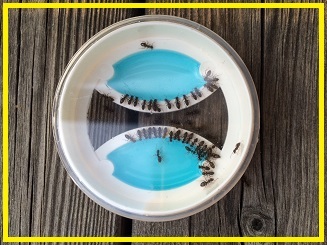 Organizations are provided usage policy templates such as “Company Confidential – Read Only” that can be applied directly to the information. Rights Management persists protection of file data when at rest and in motion. Once information is locked, only trusted entities that were granted usage rights under the specified conditions (if any) can unlock or decrypt the information. Organizations and individuals can assign usage rights and conditions using rights management that define how a specific trusted entity can use rights-protected content. Examples of usage rights are permission to read, copy, print, save, forward, and edit. Usage rights can be accompanied by conditions, such as when those rights expire. Rights Management is integrated with SharePoint Online, Exchange Online, and other Office 2010 and Office Professional Plus 2013 applications to provide rights management functionality across the Microsoft Office suite. Thankyou for nice walk-through: I often have to deal with Sharepoint etc. in clients’ IT environments (as a hired “gun”, i.e. external consultant), where we have tom then lodge our documentation of various ERP-related settings etc. However: “cloud service named Office 365” – I wonder how Microsoft will be affected by more and more companies shying away from US services, as long as the NSA scandal has not been resolved? IRM is available in One Drive for Business Libraries as well! 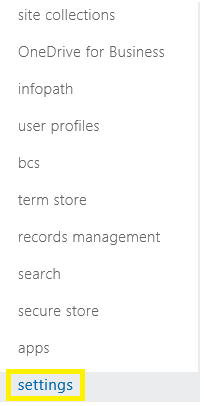 Yup, always has been since it is a sharepoint document library. Its all or nothing though.